As your company grows, there comes a time it feels like its bursting at the seams in regards to storage. You need more space, so you consider moving to a larger facility. That’s a pretty costly decision, especially when mezzanines are an affordable, efficient means of expanding your warehouse storage capabilities. 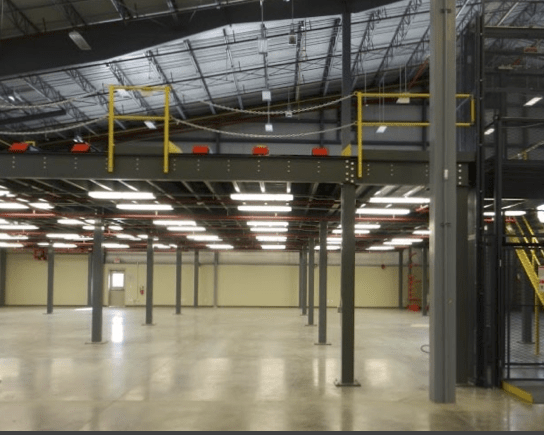 In fact, you save time, money, and hassle by implementing a mezzanine system into your warehouse instead of relocating. If you feel like you’re outgrowing your facility, but you don’t want to spend a fortune on relocating, consider custom mezzanines for your warehouse storage. You have more storage space in your currently facility than you may think. Mezzanines provide literal layers of extra warehouse storage capabilities. They make use of all the available, empty space you see when you look up in your warehouse. By building upwards, you’re efficiently using all available storage space in your current facility, and getting the most for your money. Not to mention, the cost of mezzanines compared to the cost of a new facility (and moving everything there) is negligible. And a professionally-installed mezzanine system can provide enough storage for you to comfortably remain in your current facility for years to come. Mezzanines are not a temporary solution, they’re an upgrade that will benefit your company throughout its lifetime. They can also be custom built, and are available with many useful additions such as: staircases, handrails, gates, ladders, bracing, and flooring. If you’re worried about a mezzanine not being versatile enough for your facility, many types of mezzanines are able to be customized after install. So as your company and storage needs continue to expand, so can your mezzanine. If you would like to learn more about building Custom Mezzanines, please contact S.W. Betz by calling 410-574-1414 or 800-332-0322 today! You can count on the S.W. Betz Company to work with you and provide you with our extensive knowledge of the industry. This entry was posted on Tuesday, November 10th, 2015 at 5:08 pm. Both comments and pings are currently closed.